About two weeks ago, I attended an event at the Philippine Embassy in Malaysia about the collaboration of Iflix and a Philippine's telco service PLDT. One of the reason I went that day despite the crazy haze condition was the opportunity to visit the Philippine Embassy building (because when else I will get to right?) and also to support the event. At that point I'm actually already an avid Iflix user so I figured it would be fun to check it out. I was right, it was fun since I got to meet the Philippine Ambassador to Malaysia, Ambassador J. Eduardo Malaya. Not just that, I also got to try some of their food for the first time that day and they were yummy! Well, if you read my other post about the Philippine foods I got to try on another Philippine Embassy event, you would want to try some yourself. See my watch history on Iflix. I watched so much films in just a flash. Not just movies, I also did some catch up on a few series and even re-watch some Korean dramas. In just a matter of months, I think Iflix did a great job adding new series and movies for me. I never ran out of things to watch, in fact I'm starting to wonder when will I be able to finish everything. The subscription fees is also really affordable. For RM10 per month I can watch everything there and I can get an even lower price if I subscribe annually at RM96 in which cost me RM8 per month. Super cheap! 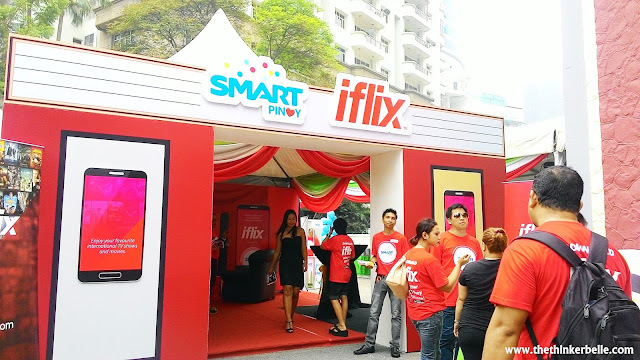 Back to the event day, during the launching ceremony on the Iflix and PLDT Smart Pinoy sim I found out that the sim card user will get to save a lot watching Iflix with their data subscription. You know how streaming can use a lot of data and it would be costly unless you have the perfect data plan. I managed to get my hand on their sim card and the data plan price is super affordable. For example RM38/30days for 2GB data or the RM50/60days for 3GB data. Not bad! 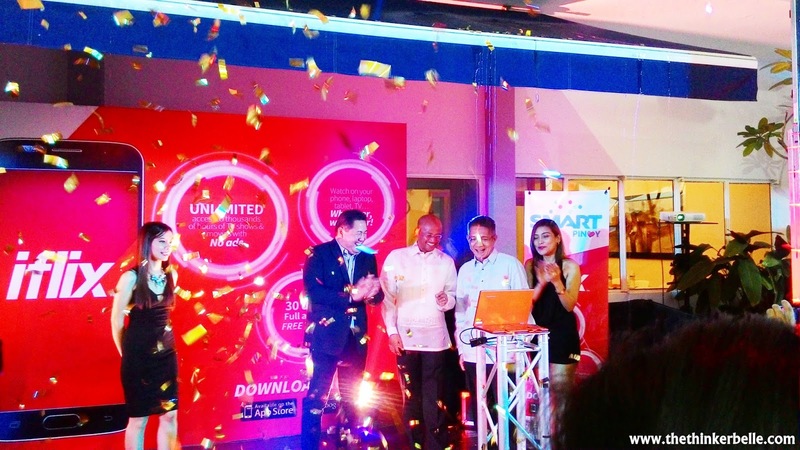 You may check out about them on their website www.pldtglobal.com or Facebook page. Happy faces during the launching ceremony. The thing about Iflix that I love is that now I can binge on movies everywhere. From my laptop to my smartphone, whenever I feel bored I would open up the website and start looking for something to watch. I applaud Iflix CEO and COO Mr. Azran Osman Rani for bringing this gem into my life. Although it has tendency to turn my hermit mode on sometimes. LOL. You should try and sign up on Iflix too. They give free trial run so you'll get to check them out first at www.iflix.com. If you're hooked, don't blame me. I'm in the same shoes too! I'm going back on Iflix to continue watching Elementary Season 2. I stopped watching after season one because I was busy with stuffs but Iflix got me back on the bandwagon. Goodbye, weekend outings! I must break up with you now, but really it's not you, it's me. I've found someone else. It's iFlix. I'm sorryyyy. look so interesting. must visit www.iflix.com too. Wah... So many movies to watch. Since its free now, will check this out. I dare not subscribe. Can't spare the time to get addicted to it, unfortunately! This is a good alternative and very much cheaper! Great! No need to buy TV lol. My reason is solid enough now. iFlix is pretty awesome. Definitely a good pack to consider seeing as they have so many movies and more. I've tried iflix when it was first launched. enjoyed it for a good 30 days trial . aweeeesome stuff. I am really interested but I wonder whether I could still enjoy iflix if the internet connection is slow...?